Could Vitamin D be the Key to Preventing Autism in Your Children? Another reason to take your vitamins? A deficiency in vitamin D during pregnancy could increase your child's risk of autism. 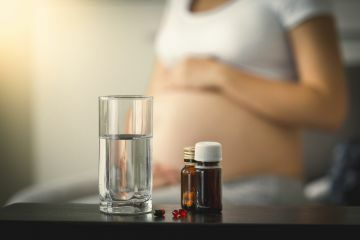 It's pretty clear that vitamin D can play an important role in improving the health of pregnant women and their babies—low levels of the vitamin have been linked to preeclampsia, allergy risk in children and more. High vitamin D levels, on the other hand, can make labor easier, strengthen your baby's bones and even help your child's teeth form. New research has identified yet another reason it's so important for pregnant women to get enough vitamin D: Low levels may contribute to autism risk, according to a study published in Molecular Psychiatry: According to the researchers, women with low vitamin D levels at 20 weeks of pregnancy are more likely to have children with symptoms of autism. But before you head outside for some sunshine, read this: The researchers believe this finding means pregnant women should be encouraged to take vitamin D supplements during pregnancy. "This research could have important implications from a public health perspective," Professor John McGrath, the study's author, said. "We would not recommend more sun exposure, because of the increased risk of skin cancer in countries like Australia. Instead, it's feasible that a safe, inexpensive, and publicly accessible vitamin D supplement in at-risk groups may reduce the prevalence of this risk factor." The study observed 4,200 blood samples from pregnant women and their offspring to come to this finding. "This study provides further evidence that low vitamin D is associated with neurodevelopmental disorders," Professor McGrath added. "Just as taking folate in pregnancy has reduced the incidence of spina bifida, the result of this study suggests that prenatal vitamin D supplements may reduce the incidence of autism."